Some may still not be aware of what sleep apnea is but may already have the condition. Its most prominent symptom is snoring and a lot of people are guilty of snoring in their sleep even if they aren’t aware of it. Yet it does not follow that all snorers have sleep apnea. Regardless of this fact, statistics show that sleep apnea cases are rising even if not everyone actually does get themselves checked and treated for it. We are not just talking about mere thousands of cases but almost a billion people suffering from this condition. That’s how prevalent sleep apnea has become and made the sleep market grow exponentially big. A lot of things contribute to sleep apnea. It is essentially a physical anomaly that leaves a person with a narrower or constricted airway but other things can also make you lose sleep such as obesity, lifestyle, too much use of tech gadgets, hormonal problems, etc. There was a time when people were proud that they are losing sleep because it means they are working way too hard than necessary. But not anymore. People today spend a great deal of fortune to get their lost sleep back because it is the right thing to do. Health is wealth. It is the biggest cliché in the world that truly matters. A new data analysis presented by ResMed last week at the ATS 2018 International Conference, indicates that sleep apnea affects more than 936 million people worldwide — nearly 10 times greater than previous estimates. The study, “Global Prevalence of Obstructive Sleep Apnea,” was conducted by an international panel of leading researchers seeking to provide a clear scope of the impact of the chronic sleep-disordered breathing condition. The previous estimation of OSA prevalence (100 million) came from a 2007 World Health Organization study that used methods and data available at the time. By analyzing technology improvements in detecting OSA and under-reported statistics from other areas of the world, this latest study depicts an impacted population significantly larger than previously identified. The statistics are staggering. This many people are tossing and turning each night unable to sleep. We are not even counting their unfortunate partners or spouses who have to endure the noise their snoring partner makes. It is a grim picture and it is also the driving force behind the massive growth and sales of the sleep market. Even if not everyone who has sleep apnea gets tested for the condition and get diagnosed, the sheer number of those who do get identified is still mind-blowing. Let us not forget that sleep apnea is a chronic condition. It won’t resolve on its own nor is there a cure for it anytime soon. Unless you seek treatment, you expose yourself to unnecessary risks on a daily basis. It is not necessary that you undergo surgery or wear CPAP every time you sleep but there are convenient sleep apnea mouthpieces like Good Morning Snore Solution and SnoreRx that you can wear that works well and stops the loud snoring too without putting a big dent on your wallet. In 2007, The World Health Organization (WHO) estimated more than 100 million people are affected by OSA, although they acknowledged that this figure was not based on robust data. The aim of this new study, “Global Prevalence of Obstructive Sleep Apnea in Adults: Estimation Using Currently Available Data,” is to estimate the global adult prevalence of OSA. Researchers identified 16 countries with published prevalence papers based on objective sleep studies and applied findings to areas previously under-quantified. After data review, estimates were extrapolated based on the global adult population aged 30 to 69 years. Prevalence statistics were applied to population numbers in each country based on the corresponding gender and body mass index (a key risk factor for OSA). OSA prevalence was estimated based on severity of the disease as measured by the apnea–hypopnea index. If the problem is genetic or anatomical in nature, then you have little control over it but to get yourself checked and undergo treatment the soonest time possible. Children can be checked too and if surgery is necessary, it is usually done early on as well. If you don’t, you unnecessarily put your health on harm’s way since there is not enough oxygenated blood in circulation that can have a negative impact on your health over time. If snoring is such a big bother to you, consult a doctor. There is no harm if you seek professional advice because there might be something triggering your snoring, such as sleep apnea, for instance. You should understand that while you often sacrifice sleep when you can get away with it, it is not a healthy practice. Sleep does so much for your body even if you are not aware of it. Get treated for sleep apnea and get your lost sleep back little by little and enjoy the many benefits sleep offers us once more. 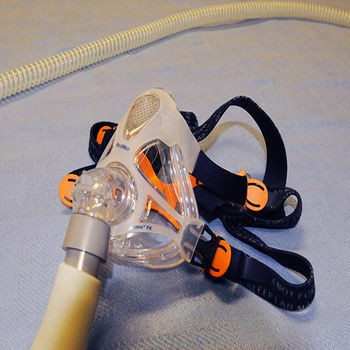 Is Your Sleep Apnea Machine Snitching to Your Insurer?